Everytime you obey God, you drain fear of its power in your life. Fearless obedience is not about waiting until you have no fear to obey, it is about obeying Jesus no matter how you feel. joyous obedience will overtake your heart. 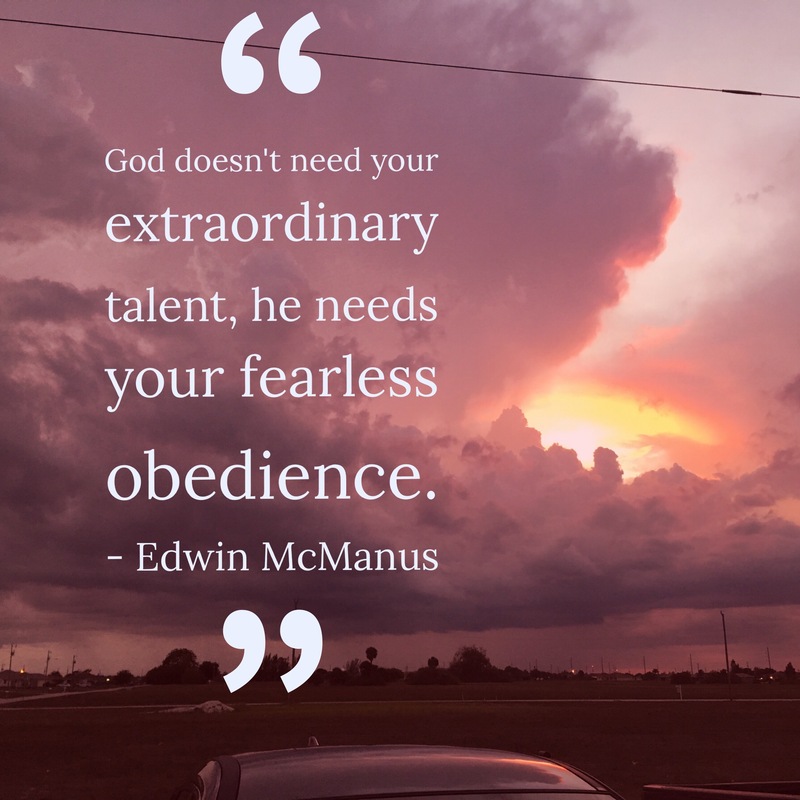 To go after all God has for you, talent is optional but obedience is indispensable. Whatever Jesus is asking of you today, he brings all his power with him to help you do it. What does it look like to trust him in this? truth you need to hold on to as you step out in faith? Oh, that is sooo wrong on so many levels. You can keep your fear. I have a loving relationship with God, ALL b/c of His Son. Paul La, I completely agree- any relationship with God based on works is wrong. It is all through grace and all because of Jesus. You can keep your fear because in Jesus, fear no longer has any power. Blessings to you!